The first interpellation session of the 20th National Assembly opens this morning. Lawmakers will question the government on its.. The first interpellation session of the 20th National Assembly opens this morning. 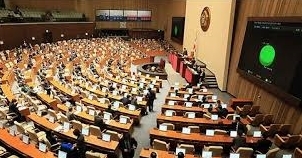 Lawmakers will question the government on its plans to spend an extra 20 trillion won this year to help prop up the slumping economy. 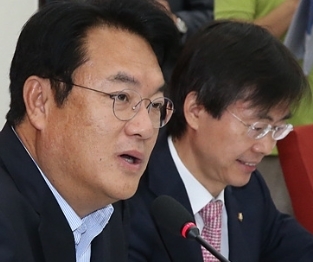 Corporate restructuring for ailing sh..
Korea's lawmakers may soon lose their priviledge of freedom from arrest. 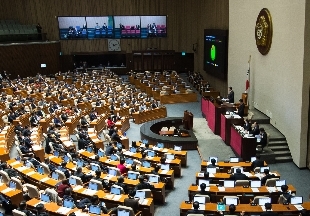 Assembly Speaker Chung Se-kyun (정세균), the Saenuri's Chung Jin-suk (정진석), the Minjoo's Woo Sang-ho (우상호), and People's Party Floor Leader Park Jie-won (박지원)held talks in Seoul yesterday and agreed that immunity rights should be..